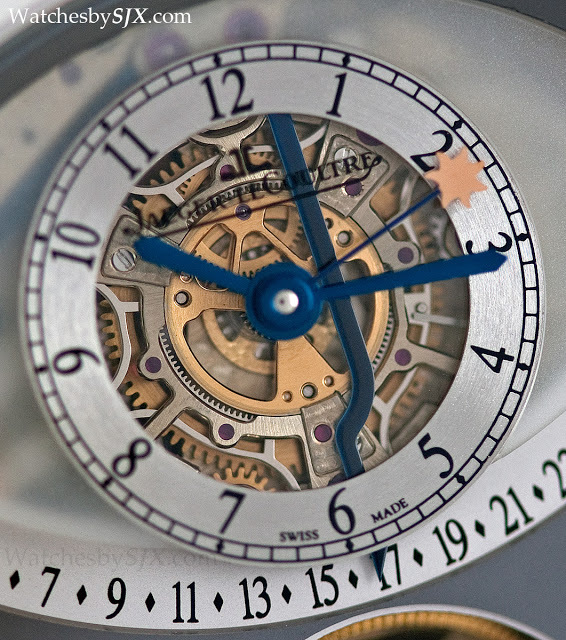 The Jaeger-LeCoultre Gyrotourbillon 1 with retrograde perpetual calendar and equation of time was launched in 2004 and is JLC’s most important complication. 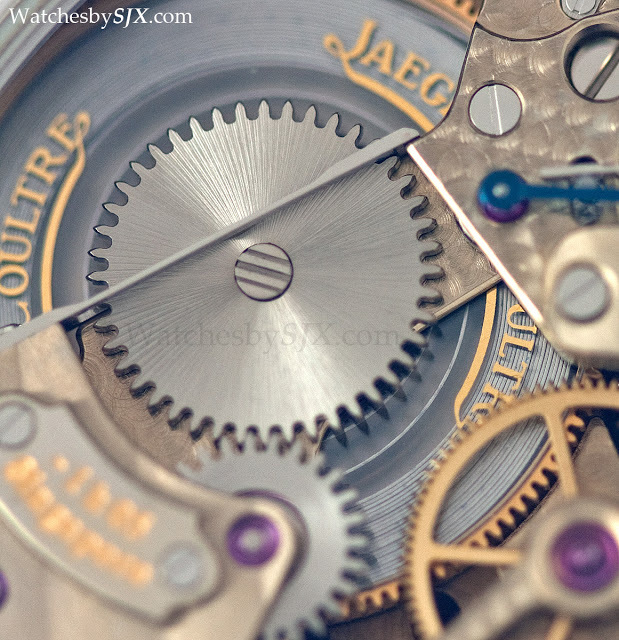 Not just for its inherent technical qualities but also because it put JLC on th map as a haute horlogerie brand, and not just a haute horlogerie movement maker. 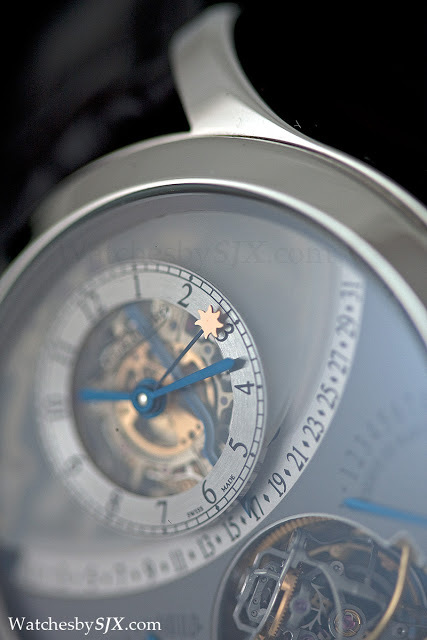 Since then JLC has created other super complications like the Duomètre à Sphérotourbillon launched at SIHH 2012, but none have the cachet of the Gyrotourbillon. 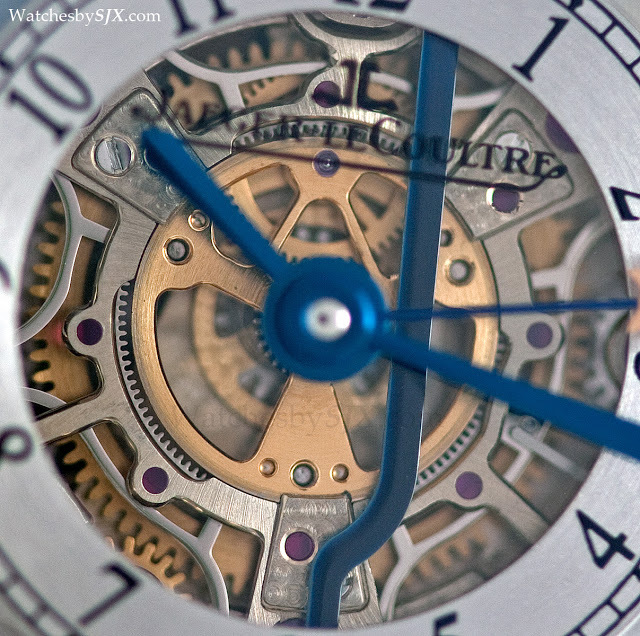 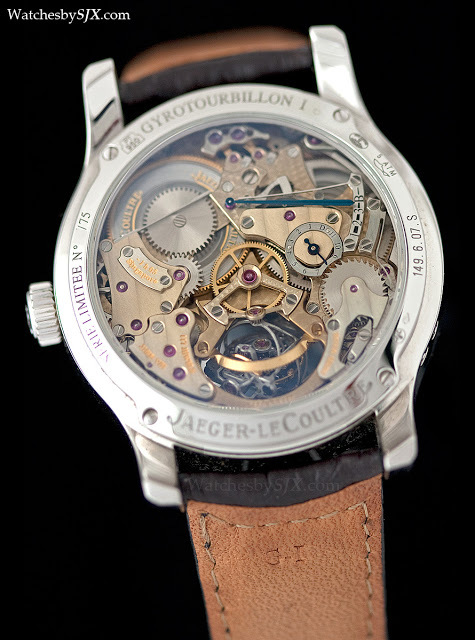 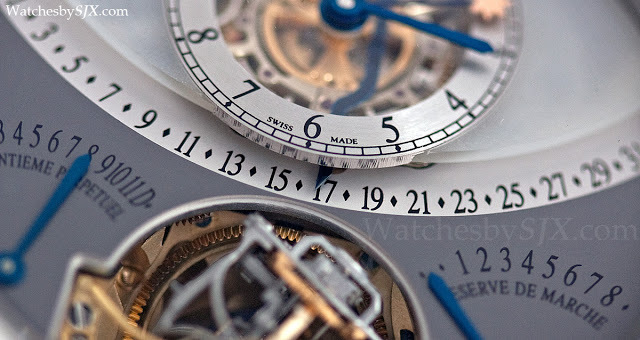 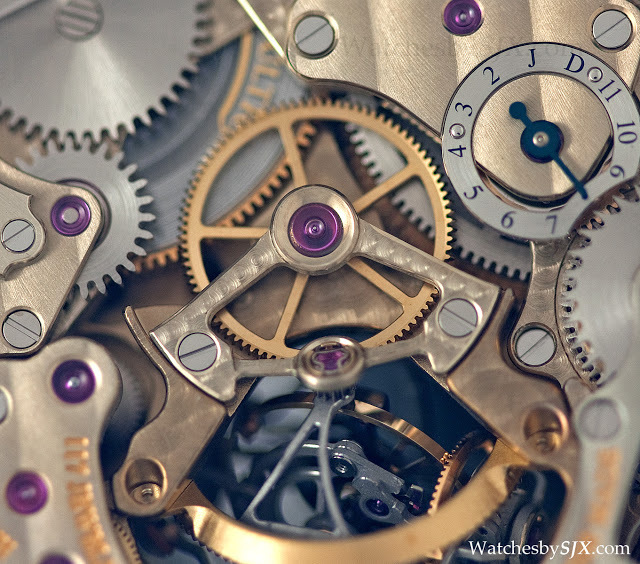 In fact, the Gyrotourbillon is the most important JLC complication of the last decade in my humble opinion. 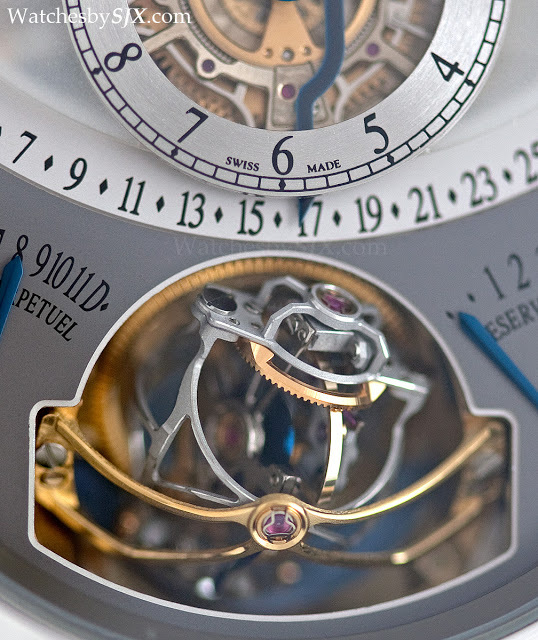 This is demonstrated by the fact that the Gyrotourbillon sells for handsome sums at auction, practically at its original street price, which is extremely unusual for an exotic complication that isn’t a Patek. 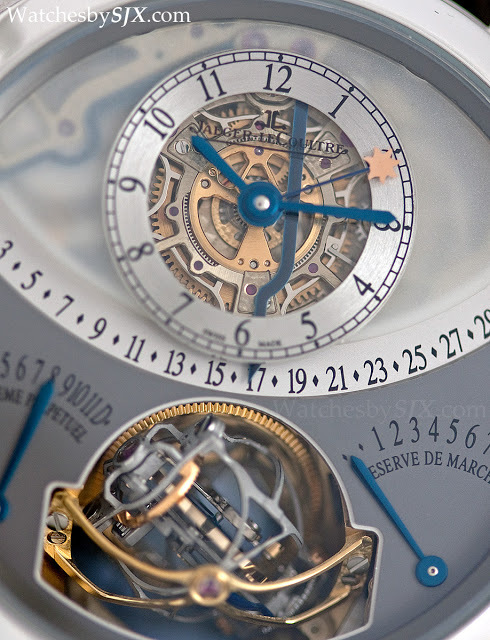 Perhaps one reason is that the Gyrotourbillon is limited and numbered as such, in both the Gyrotourbillon 1 and Reverso Gyrotourbillon 2 variants. 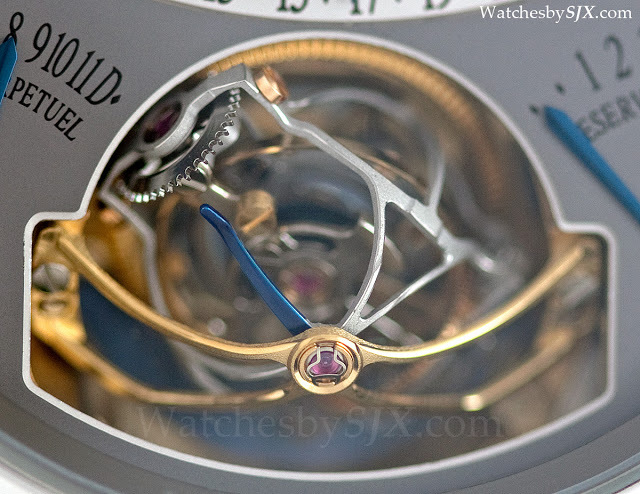 The Spherotourbillon on the other hand is only limited for the platinum case version while the rose gold is regular production. 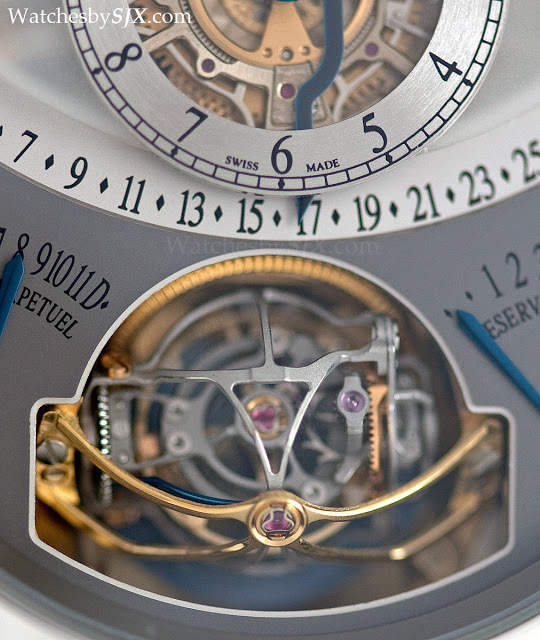 But one has to remember also that at the time of its launch in 2004, the Gyrotourbillon was one of the few multi-axis tourbillons available, with the only other alternatives being Greubel Forsey and Franck Muller. 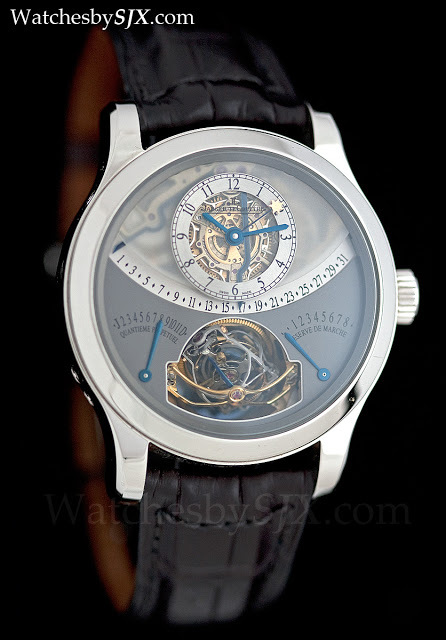 And 2004 was also before the epidemic proliferation of tourbillons in the middle part of the last decade. 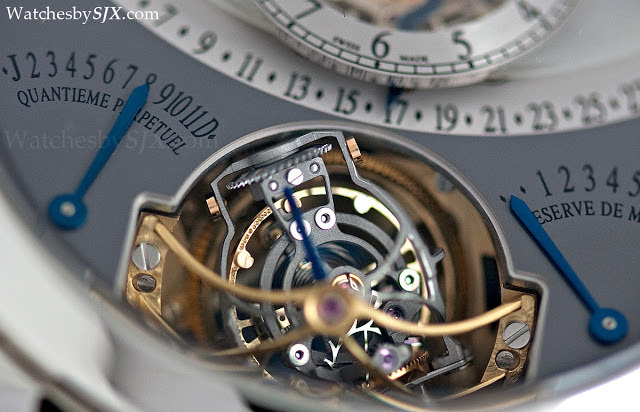 So it was much easier for the Gyrotourbillon to establish itself as an important watch of the time. Pictured here is the original platinum, 75 piece limited edition Gyrotourbillon of 2004. 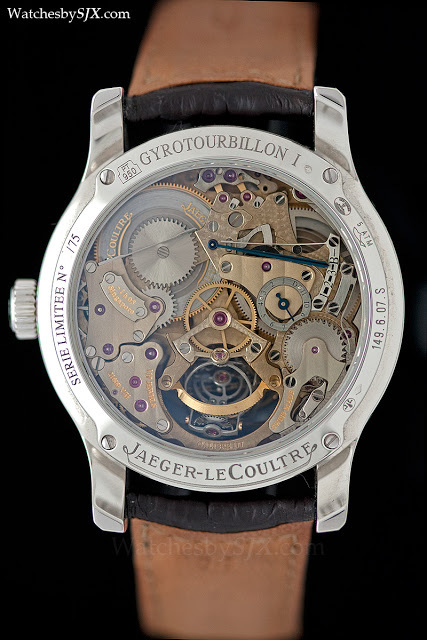 More recently the final 30 pieces of the Gyrotourbillon 1 are being delivered with an openworked dial and rose gold case.